The line between functional and decorative blurs as the Albero reenters the design atmosphere. In most cases, when history is fated to repeat itself, the result is never positive. 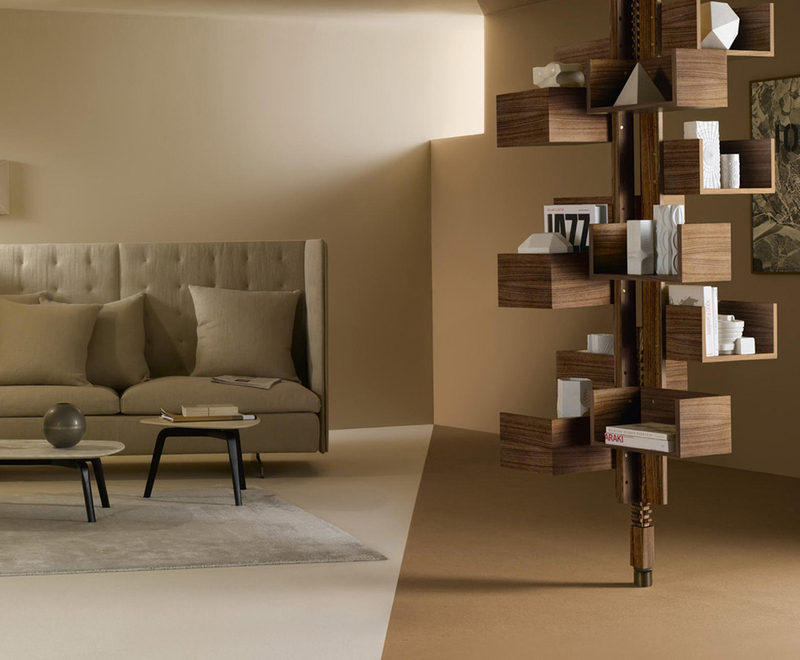 But in this case, Poltrona Frau, the Italian furniture maker, is defying the odds by recreating the timeless Albero freestanding bookcase originally designed in the 1950’s by the late Gianfranco Frattini, a furniture design master and architect. This artisanal recreation will easily become a highly sought after design piece and cherished part of many family homes. The Albero is the centerpiece of any room in which is occupies—standing out for its sculptural yet functional appeal. It is a floor to ceiling bookcase, standing completely on its own with rectangular cubbies attached to the center pole layered at different heights. The Albero offers many storage options, holding 8 to 12 adjustable cube-esque shelf units. Other abilities include a 360-degree swiveling feature and an extendable pole, fitting ceilings as high as 11 feet. There is no surprise Frattini’s bookcase is resurfacing. As a member of the Italian design movement in the 1950s and 60s, he focused on craftsmanship and the acute details that make a piece of furniture stand the test of time. He was a founding member of the Association of Industrial Design and one can see how his mechanical yet artistic aesthetic flowed throughout his designs. The Albero is as beautifully constructed, as it is useful. The frame is solid Canaletto walnut veneer, finished with black paint to stand out as the centerpiece of your library or den. Its elegance proves Frattini’s complex design skill. The bookcase is a simple décor vision that maximizes storage in smaller areas and harmoniously slips into the 21st century interior design market.